Join us on Friday, August 26th for a Lunch & Cruise! REGISTRATION DEADLINE WEEKS AHEAD OF THE CRUISE. The earlier you register, the greater your chances to join us! We had a grand Milwaukee Cruise last year. Make sure to purchase a ticket for your favorite guy or gal or clients. Yes, it’s this unique! Lunch will be a Brat or Dog with Chips and a Soft Drink. Additional Dogs & Brats available, and a cash bar on the boat. The eighty foot, 200 passenger* VISTA KING is Milwaukee’s largest tour vessel. 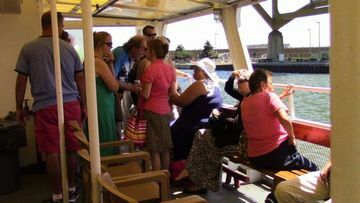 The upper deck alone can accommodate over 150 passengers. VISTA KING’s trademark wrap around windows provide unparalleled visibility from the main salon. Amenities include 4 restrooms, heating, full-service bar and custom sound system. Scenic tour of Milwaukee from a great perspective. 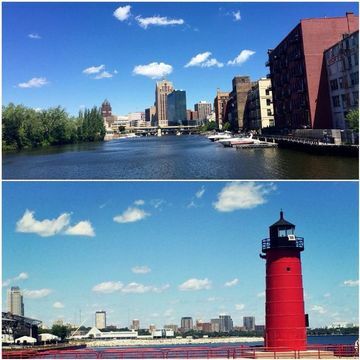 Explore Milwaukee’s past and present from our rivers, harbors & Lake Michigan. Unforgettable views and a unique perspectives of Milwaukee’s history & architecture. Live narration provided by experienced and entertaining tour guides & the captain. Snacks, soft drinks, beer & cocktails available on board. Wisconsin Business Owners means you may be shown on in pictures and/or on tape…and you’re okay with that! ARE YOU UP FOR A BREWER NIGHT GAME? 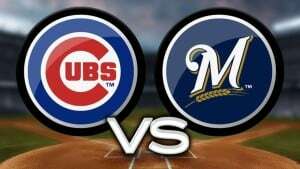 Join the Wisconsin Business Owners & us referrals combined Brewers night game outing July 30th! TICKETS ALONE ARE NORMALLY $56. $36.50 SALE INCLUDEs TAILGATE PARTY FOOD AND YOUR TICKET! We know this is short notice, but to get this deal we need to purchase tickets before the end of the month. RSVP to get your ticket(s) at http://www.meetup.com/wisconsin-business-owners/events/221258302/ Come join us! YOU WILL NEED TO ACT QUICKLY TO GET THIS DEAL. WE NEED 25 PARTNERS TO BE ABLE TAKE ADVANTAGE OF THIS OFFER!!! If we don’t have enough by March 27th, your order will be credited back to you immediately. Tailgating starts at about 5 pm (maybe sooner)…we’ll keep you posted on when and where. Who’s Invited: Any Wisconsin Business Owners Member and their guest or guests. Any us referrals Partner and their guest or guests. This is a Great Time to Invite a Prospective Wisconsin Business Owners Member or us referrals Partner! THESE ARE GREAT SEATS!!!! INFIELD BOX SEATS!!! Remember the Goal of us referrals – and Wisconsin Business Owners – is to build Sustainable Business Partners through Strong Relationships. This is always a Great Time & Great Networking…….do yourself a favor and make it happen!!!!! Please RSVP NOW if you plan to attend and how many. Note: checks to us referrals are $35 – $36.50 at Wisconsin Business Owners covers processing costs for credit card transactions. 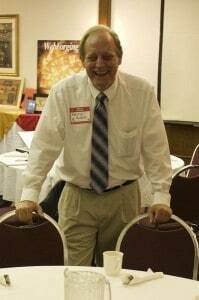 Please RSVP now to get your ticket(s) at http://www.meetup.com/wisconsin-business-owners/events/221258302/ Come join us! Enjoy business networking in a professional yet casual atmosphere. Enjoy fine food and a great speaker! I wish I knew what they were thinking? Are they interested in my services? Do they understand what I’m saying? Are we making a meaningful connection? Learning how to read body language will give you a deeper understanding of the people in your personal and professional life. Are your words and body language giving different messages? Can you read what’s going on around you to keep yourself safe? Albert Mehrabian found that the total impact of a message is about 7% verbal (words only), 38% vocal (including tone of voice, inflection and other sounds), and 55% non-verbal.Without knowing body language you’re missing 55% of what your friends, customers, and prospective customers are really saying. If you are interested in what body language is really saying, then join us and learn Body Language Basics – Understanding the Unspoken Word. 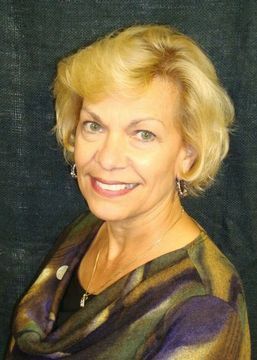 Claudia Howard, CEO & Founder of Career Role Model Program, Inc.
*** Come Join Us! Click on “I’m going box” to start your registration now. You will be able to reserve your seat and won’t be charged until the day of the event. ALSO, if you plan to attend the January 30th Special Morning Workshop by Atty. Melissa Mortensen, you will need register for that workshop separately. on video before the Lunch & Learn! early arrival allows more networking time. 1:15 – End… or stick around to build relationships! Thank-you Mark Mullarky of Mullarky Business Systems! From one to fifty PCs, Mark is your man for Computers and Computer Networks.